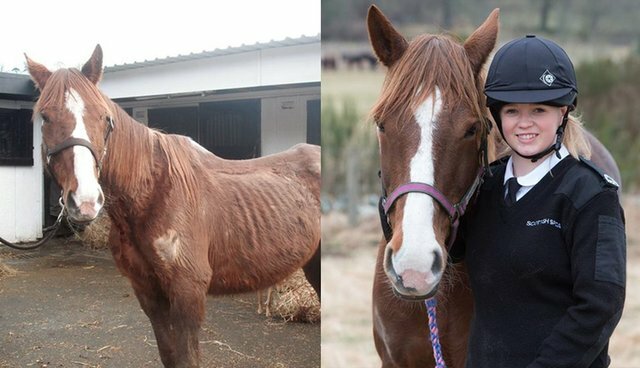 A beautiful mare named Sapphire, saved from a life of suffering at the hands of her cruel former owner, has finally found a happy home at age 20 - proving that one needn't be fresh faced to get a fresh start. 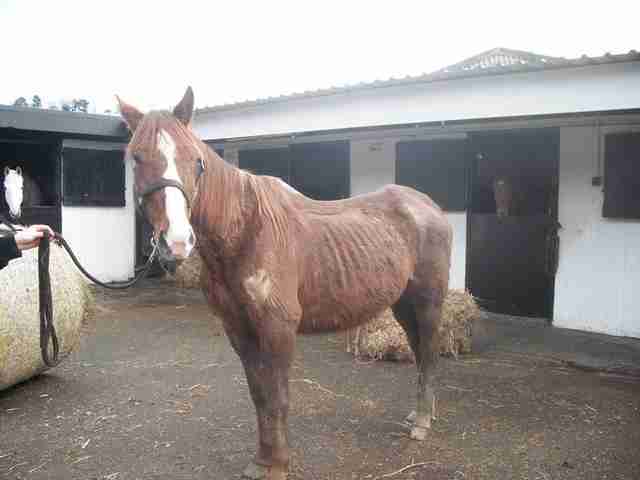 When Sapphire was rescued by the Scottish SPCA, she was so emaciated that her ribs, spine and hip bones were visible. Thankfully, under expert care, her health soon began to improve. Meanwhile, the person responsible for treating the horse so poorly was prosecuted, though what Sapphire needed most wasn't justice, but rather a lifetime companion to give her the love she deserves. Perhaps due to her age, however, adoption offers weren't forthcoming. For two years she waited at the SPCA's rehoming center, watching younger rescues come and go, while she went overlooked time and time again. Sapphire's caretakers even began to resign themselves to the fact she might be with them forever - that is, until this week. 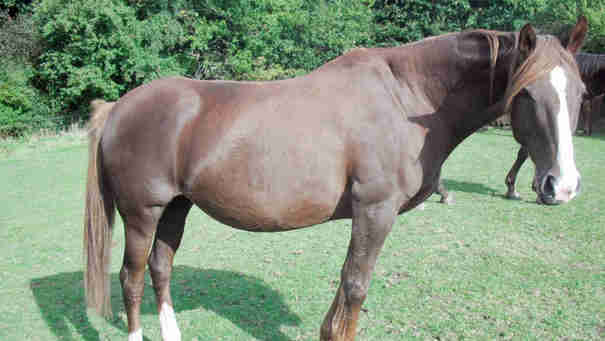 A couple, Les and Dolina Evans, had been looking for a companion for their lonely, elderly horse, and Sapphire was the perfect fit. Her time, at long last, had come. "We are absolutely over the moon," Emma Smith, from the Scottish SPCA, told The Dodo. "We had almost given up hope of her ever finding a home. 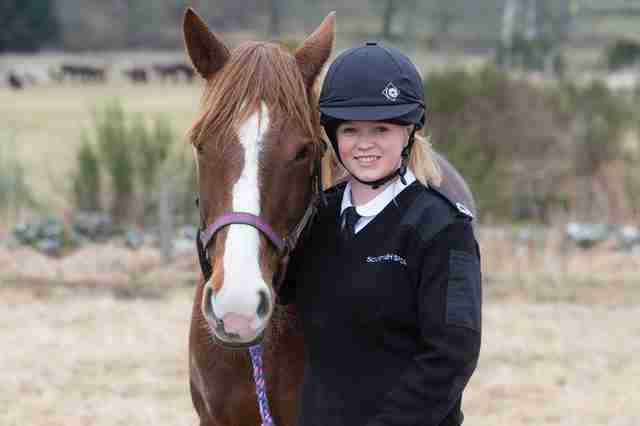 After everything she has been through, we wish Sapphire a very happy future." "When they met in the field, it was like Sapphire had lived there all her life."